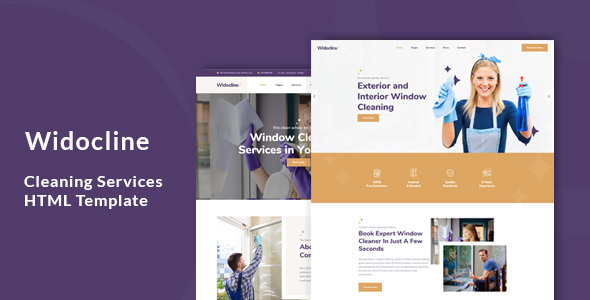 Widocline – Cleaning Company HTML Template can be used as house cleaning website as well as for any other purpose. Feel free to create your own website with this finished template. Moppers HTML template is best suitable for Cleaning Company, Gardener, Maid, Laundry, Car wash, etc. This template is ideal for Carpet Cleaning, Tile and Grout, Window Cleaning, Laundry Service, House Keeping, Vehicle Cleaning, and those who need an easy, attractive and effective way to share their work with clients. This template comes with necessary features for your online presence like portfolio, blog, testimonial and service page etc. Health Coach can be a great choice for your online presence. What ever you are using the device your site will run as it should be. The Moppers template is fully responsive layout for all type of devices. The Moppers template coded with beautiful and clean codes! Some powerful HTML files 100% valid W3 web standards. Blogging very important! We designed beautiful blog page templates and single blog styles for your news and updates..